Storey Publishing, LLC. Very Good. 2002. First Edition. Softcover. 158017423x . Ex-library book, but still in very good condition - sturdy laminated cover and usual ex-lib type of markings. Pages are clean and intact . Cover has some scuffing, light soiling and a little wear to laminate at corners. Beautifully illustrated in colour. 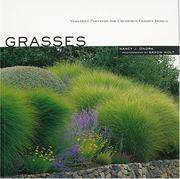 ; Large 8vo 9" - 10" tall; 144 pages; "No longer relegated to back-of-the-border backdrops for showy perennials or space-filling solutions for inconsequential garden areas, ornamental grasses are moving front and center as befits their versatile, adaptable, and irresistible nature. From their burnished glow when backlit by a setting sun to the textural richness they bring to a mixed border, grasses offer much in the way of gardening excitement and distinction yet require little maintenance in return. After succinctly covering the cultural basics of grass gardening, Ondra concentrates her efforts on extolling their multifaceted design distinctions. For every garden element, from borders, pathways, and containers to location challenges such as shade, slopes and screening, Ondra's capsule "designer's choices" offer brief but essential descriptions to aid in plant selection and planning considerations, and quick-reference lists highlight grasses that work well in such diverse conditions as hot-and-dry sites and low-and-wet bogs. Supported by Saxon Holt's captivating color photographs, Ondra elevates grasses from garden understudies to starring roles. " (630, 0211) . Lone Pine Publishing. New. 2004. First Edition. Softcover. 1551053675 . New book with no markings. 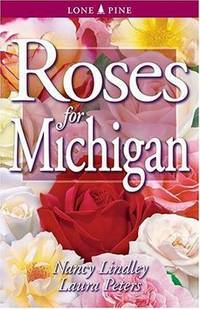 Organized into nine groups, the 144 roses in this book have been selected because they are easy to grow and offer a wide variety of choices for gardeners in Michigan. Covers: choosing roses, best locations for planting, soil, water & fertilizing, pests, winter protection, etc. (450-osl) ; 8vo 8" - 9" tall; 256 pages . Lone Pine Publishing. New. 2006. First Edition. Softcover. 9768200138 . New book, no markings. Profusely illustrated in colour. Takes the guesswork out of choosing the right plants. These readily available and attractive plants grow well in our climate and offer the best features for a wide variety of garden situations. 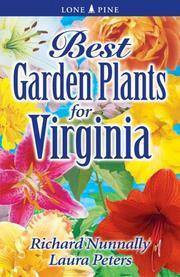 Each of the 160 accounts includes: height and spread; flower color and bloom time; recommended varieties; hardiness zones and plenty of tips for Virginia gardeners. (355-osl) ; Best Garden Plants For...; 8vo 8" - 9" tall; 176 pages . Lone Pine Publishing. New. 2006. First Edition. Softcover. 1551055228 . New book, no markings. Profusely illustrated in colour. Takes the guesswork out of choosing the right plants. These readily available and attractive plants grow well in our climate and offer the best features for a wide variety of garden situations. 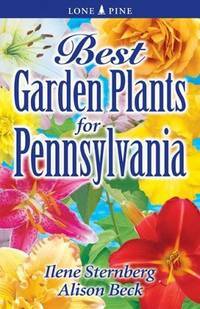 Each of the 160 accounts includes: height and spread; flower color and bloom time; recommended varieties; hardiness zones and plenty of tips for Pennsylvania gardeners. (355-osl) ; 8vo 8" - 9" tall; 176 pages . Lone Pine Publishing. New. 2004. First Edition. Softcover. 1551053837 . New book, no markings. Profusely illustrated in colour. Filled with tips and common sense, this annual calendar also features useful and interesting garden topics to help keep your yard looking it's best. 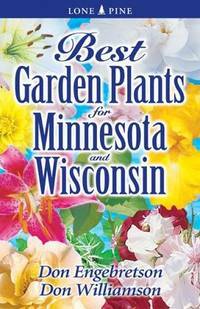 Contents: How and when to prune; starting plants from seed; creating wildlife habitat; lawn maintenance; plant propagation; protection in winter; container gardening; garden planning and design; first and last frost maps; charts on climate normals and extremes; books, clubs and online resources for Minnesota and Wisconsin gardeners. (370-osl) ; 8vo 8" - 9" tall; 160 pages . Lone Pine Publishing. New. 2006. First Edition. Softcover. 1551054965 . New book, no markings. Profusely illustrated in colour. Takes the guesswork out of choosing the right plants. These readily available and attractive plants grow well in our climate and offer the best features for a wide variety of garden situations. 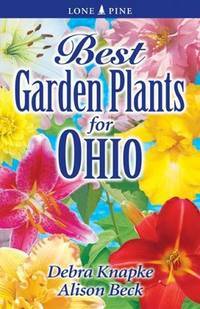 Each of the 160 accounts includes: height and spread; flower color and bloom time; recommended varieties; hardiness zones and plenty of tips for Ohio gardeners. (355-osl) ; 8vo 8" - 9" tall; 176 pages . Lone Pine Publishing. New. 2000. Softcover. 1551051605 . New book with no markings. Discover the best annuals for the Northwest with this colorful guide. Plenty of photographs and illustrations accompany clear, easy-to- follow gardening advice. Tips on when to plant, growing from seed versus nursery-grown bedding plants, optimal growth conditions and problems and pests are also included. ; 8vo 8" - 9" tall; 256 pages; "If you don't live and garden in the Northwest, ignore the title and buy this book anyway. 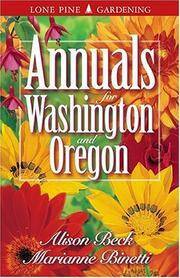 Perhaps these annuals do particularly well in the region, but what is special about Annuals for Washington and Oregon reaches far beyond any specific state. Alison Beck and Marianne Binetti have written a book full of practical advice, packaged in a handy size and shape for carrying around to nurseries. And that is just what you'll want to do, as the first few pages are filled with a pictorial index of color photos of a great number of annuals arranged by common name. You can identify the plant you are interested in, see how it looks in bloom, and then refer to the cultural instructions later on in the book to check on how to site and care for it, as well as to see larger color photos of its form and habit. It's hard to think of a better format for introducing gardeners to the great variety of annuals available today and their many possibilities in the garden. " (475-noto) . Lone Pine Publishing. New. 2006. First Edition. Softcover. 1551055007 . New book, no markings. Profusely illustrated in colour. Takes the guesswork out of choosing the right plants. These readily available and attractive plants grow well in our climate and offer the best features for a wide variety of garden situations. 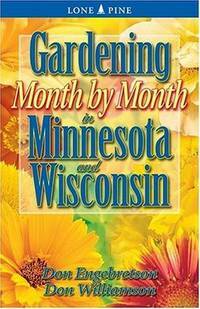 Each of the 160 accounts includes: height and spread; flower color and bloom time; recommended varieties; hardiness zones and plenty of tips for Minnesota and Wisconsin gardeners. (355-osl) ; Best Garden Plants For...; 8vo 8" - 9" tall; 176 pages . Lone Pine Publishing. New. 2005. First Edition. Softcover. 1551055201 . New book, no markings. Profusely illustrated in colour. Takes the guesswork out of choosing the right plants. These readily available and attractive plants grow well in our climate and offer the best features for a wide variety of garden situations. 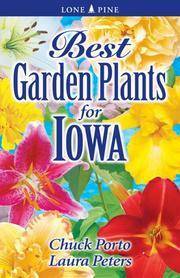 Each of the 160 accounts includes: height and spread; flower color and bloom time; recommended varieties; hardiness zones and plenty of tips for Iowa gardeners. (355-osl) ; 8vo 8" - 9" tall; 176 pages . Lone Pine Publishing. New. 2006. First Edition. Softcover. 976820009x . New book, no markings. Profusely illustrated in colour. These readily available and attractive plants grow well in our climate and offer the best features for a wide variety of garden situations. 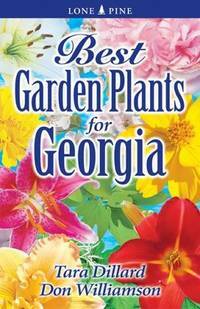 Each of the 160 accounts includes: height and spread; flower color and bloom time; recommended varieties; hardiness zones and plenty of tips for Georgia gardeners. (355-osl) ; Best Garden Plants For...; 8vo 8" - 9" tall; 176 pages . Lone Pine Publishing. New. 2006. First Edition. Softcover. 9768200111 . New book, no markings. Profusely illustrated in colour. Takes the guesswork out of choosing the right plants. These readily available and attractive plants grow well in our climate and offer the best features for a wide variety of garden situations. 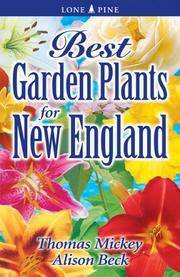 Each of the 160 accounts includes: height and spread; flower color and bloom time; recommended varieties; hardiness zones and plenty of tips for New England gardeners. (355-osl) ; Best Garden Plants For...; 8vo 8" - 9" tall; 176 pages . Lone Pine Publishing. New. 2004. First Edition. Softcover. 155105406x . New book, no markings. Profusely illustrated in colour. Filled with tips and common sense, this annual calendar also features useful and interesting garden topics to help keep your yard looking it's best. 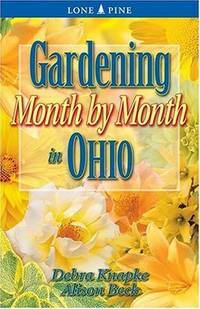 Contents: How and when to prune; starting plants from seed; creating wildlife habitat; lawn maintenance; plant propagation; protection in winter; container gardening; garden planning and design; first and last frost maps; charts on climate normals and extremes; books, clubs and online resources for Ohio gardeners. (370-osl) ; 8vo 8" - 9" tall; 160 pages . Lone Pine Publishing. New. 2006. First Edition. Softcover. 9768200081 . New book, no markings. Profusely illustrated in colour. These readily available and attractive plants grow well in our climate and offer the best features for a wide variety of garden situations. 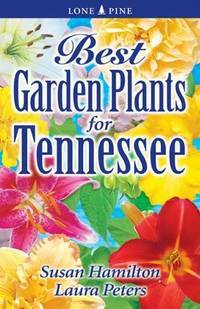 Each of the 160 accounts includes: height and spread; flower color and bloom time; recommended varieties; hardiness zones and plenty of tips for Tennessee gardeners. (355-osl) ; Best Garden Plants For...; 8vo 8" - 9" tall; 176 pages . Lone Pine Publishing. New. 2006. First Edition. Softcover. 1551055023 . New book, no markings. Profusely illustrated in colour. These readily available and attractive plants grow well in our climate and offer the best features for a wide variety of garden situations. 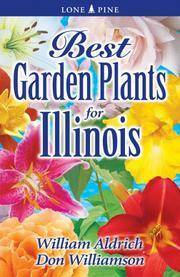 Each of the 160 accounts includes: height and spread; flower color and bloom time; recommended varieties; hardiness zones and plenty of tips for Illinois gardeners. (355-osl) ; Best Garden Plants for...; 8vo 8" - 9" tall; 176 pages . Lone Pine Publishing. New. 2005. First Edition. Softcover. 1551054981 . New book, no markings. Profusely illustrated in colour. These readily available and attractive plants grow well in our climate and offer the best features for a wide variety of garden situations. 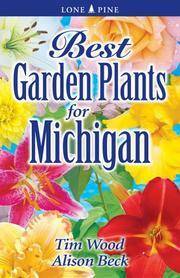 Each of the 160 accounts includes: height and spread; flower color and bloom time; recommended varieties; hardiness zones and plenty of tips for Michigan gardeners. (325-osl) ; 8vo 8" - 9" tall; 176 pages . Workman Publishing. Very Good. 1987. First Edition. Softcover. 0894803182 . Ex-library book, but still in quite good condition - laminated cover and usual ex-lib type markings.. Interior of pages clean, first endpage a little loose at bottom but pages otherwise tight, light soiling to outer edge of pages. Cover has light scuffing and light wear to laminate at corners. ; 8vo 8" - 9" tall; "Topiary, as defined in the book's glossary, is "the art of shaping plants, by clipping and training, to create living sculptures." 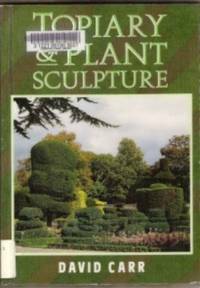 The authors, well-known horticulturists, provide chapters on traditional designs for hedges, trees, and espalier displays, and also cover container topiary, ivy training, knot gardens, and frame making. They give a historical context for each chapter, but emphasize application, presenting instructions for 75 projects. Their advice includes recommended plants, design hints, tools and supplies, and maintenance. The format is clear and readable, and the illustrations appealing. Novices and specialists will be delighted by this highly recommended book. " . Pocket. Good. 1973. First Edition; Second Printing. Softcover. 0671787144 . Paperback 1973 - good condition. Pages clean and intact, age tanning to page edges and inside covers. Cover has several creases, scuffing and moderate wear at edges and corners. 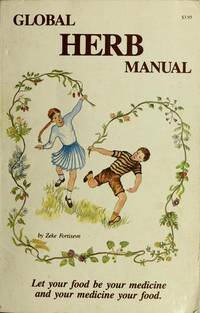 "...the second annual encyclopedia of horticultural knowledge and folk wisdom by " America's" master gardener" the best-selling author of 'Plants are like People'. Sections on : Pest controls, common poisonous plants, head-gardening, mountain gardens, cake tin gardening etc. [100-osl] ; 12mo 7" - 7½" tall . Crowood Press (UK). Very Good. 1996. First Edition. Softcover. 185223881X . Ex-library but, but still in very nice condition - sturdy laminated cover and usual ex-lib type markings. Pages are clean and tight, a little spotting to outer edge of pages. Cover has light wear at corners. ; Large 8vo 9" - 10" tall; 144 pages; This compact guide to clipping shrubs and hedges into ornamental forms offers tips on choosing the right plants, design and preparation, training and pruning, maintenance, and growing plants from seed. 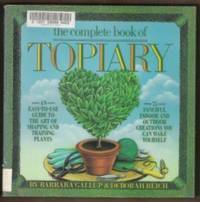 There is a guide to pest and disease control and lists of plants suitable for topiary. Contains 50 line drawings. [382-osl] .